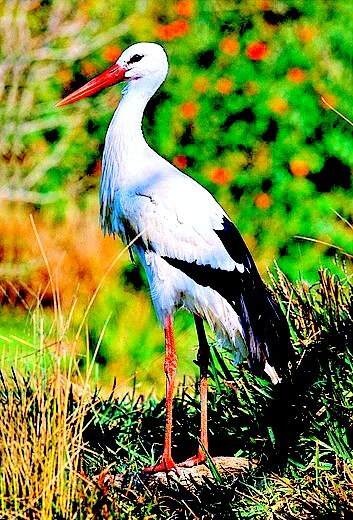 The white stork appears in Europe in the spring, having migrated across the Sahara Desert from Africa. In order to avoid long sea crossings, the birds follow migratory routes either to the east or west of the Mediterranean Sea. Great flocks crowd the skies over Gibraltar and the Bosphorus where the is crossing is narrow. As they continue north, the storks sweep in large numbers over the shrublands of Spain and Eastern Europe, some stopping to nest.